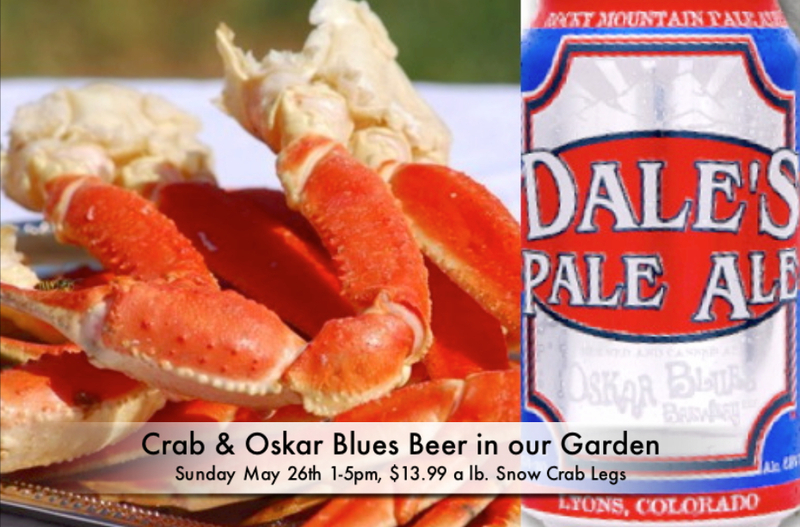 What: Memorial Weekend Snow Crab Legs and Oskar Blues Brewery in the garden, $13.99 a lb for Crab Legs! 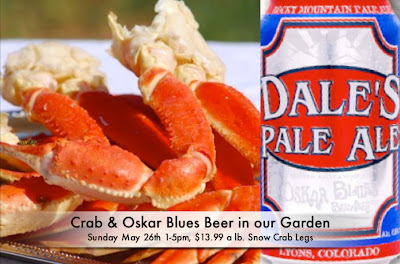 Details: Kick off Summer 2013 with Snow Crabs and Oskar Blues Beer in the Aroma Thyme Garden! Snow Crab Legs are $13.99 a lb with all the fixings! We sell out of out of most events in our garden, so rsvp at (845) 647-3000. Oskar Blues makes the BEST canned beer. They have been making outrageous beer since 1999 in Lyons Colorado. They make all styles of beer from Pilsner to Imperial Stout! Plus our full food and drink menu will be available in the garden. Known for their rich, sweet flavor, snow crabs are found in the sub-Arctic, western Atlantic and North Pacific. Most snow crab sold in the U.S. is imported from Canada, where it is well-managed. Snow crabs are caught with pots, which allow for undersized crabs and other bycatch to be released relatively unharmed.